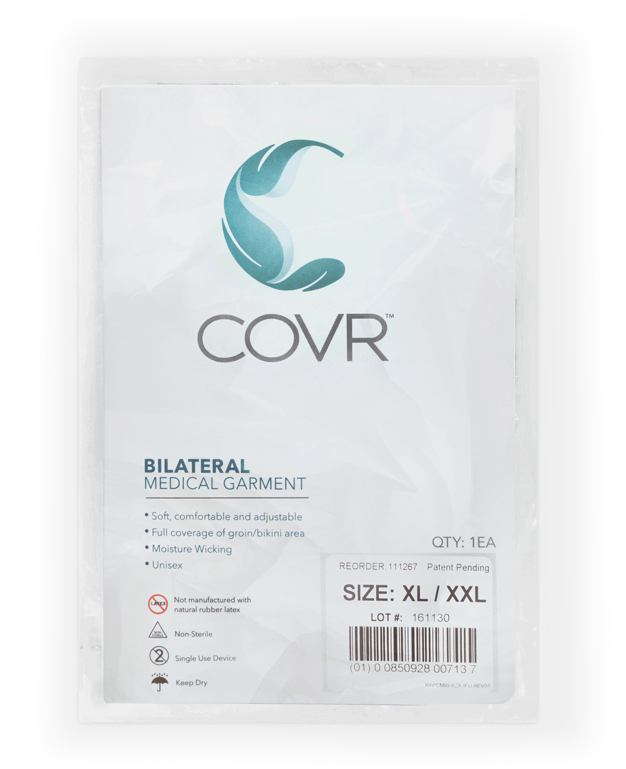 Designed to meet the needs of both the patient and the medical staff, COVR garments provide complete coverage of the patient’s genitalia while allowing procedural access to the hip, groin, thigh and other areas of the pelvis. With the growing importance of Patient Satisfaction, as a part of CMS’ Quality of Care reimbursement system, COVR provides an easy-to-implement program to enhance the patient care experience. 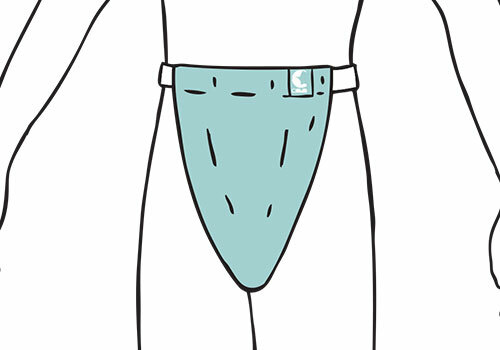 Features a retractable front panel and a releaseable waistband on the procedural side. The product is also reversible for use in left or right-sided procedures. For medical and surgical procedures requiring access to the hip. For example: Total Hip Arthroplasty, Hip Arthroscopy, Hip Injections / Aspirations, MR Arthrograms, Hip Fractures, Total or Partial Knee Surgery, Total or Partial Knee Arthroplasty (Replacement), Arthroscopic Knee Surgery (ACL, PCL, Meniscus Repair, etc. ), Abdominal Liposuction, Pediatric Surgery. 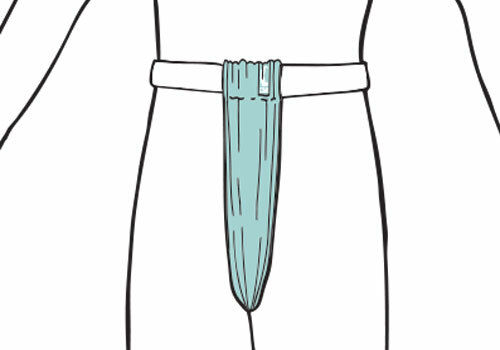 This product is also used as a general hospital undergarment. Provides complete access to both the groin and hip regions and features a completely retractable front panel for patient preparation and procedural access. 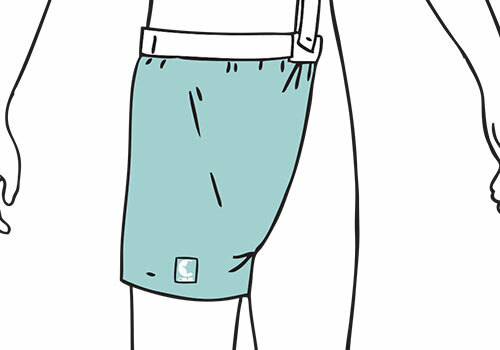 Provides complete access to the patient's flank and features an adjustable shoulder strap. Available in left or right sided models. Open flank and with convertible strap that can be worn over shoulder or around waist. For medical and surgical procedures requiring complete access to the patient's flank. For example, intra-abdominal or thoracic procedure including lung and liver biopsies, as well as kidney, spleen and other procedures. 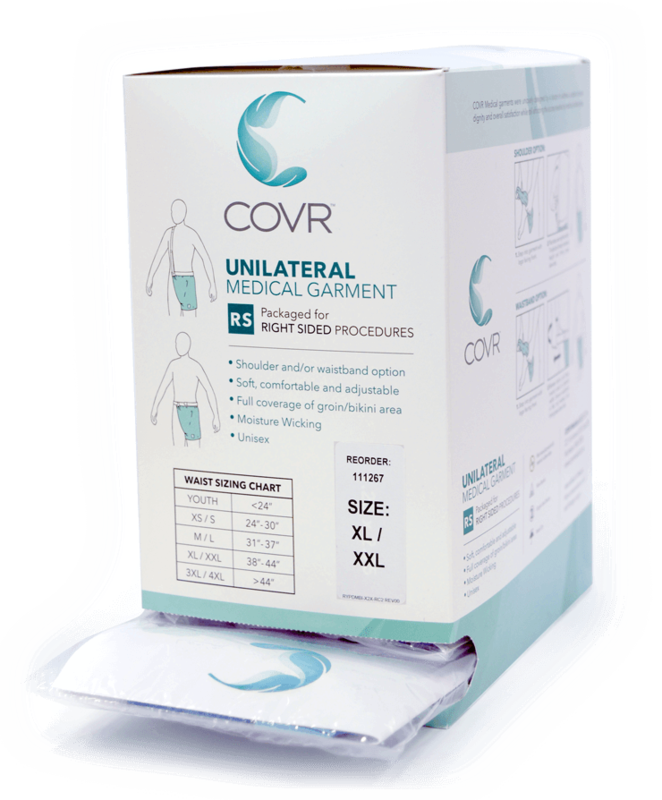 COVR Medical garments were invented by a surgeon to ensure patient privacy, dignity, and comfort during medical and surgical procedures as well as for post-procedural care. COVR Medical LLC., © 2018, All Rights Reserved.